← First past the post……..
……..finally finished, from 3 Plein Air sessions, started on 11th August, (* see link below) and will be on display this coming saturday, see Upcoming Events page for details. 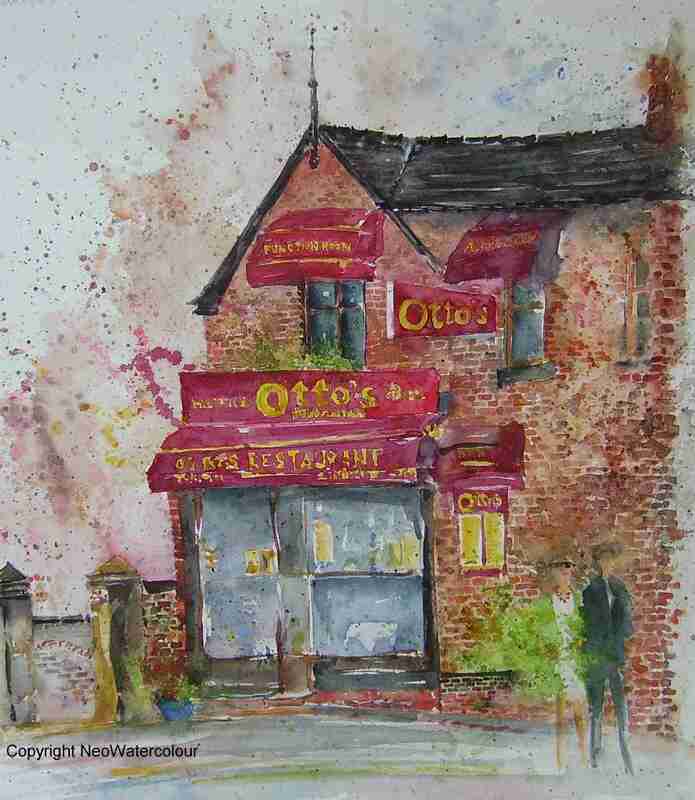 This entry was posted in Sheffield - watercolours and tagged Ecclesall, Meditteranean, Moroccan, Otto, Restaurant, SharrowVale, Watercolour. Bookmark the permalink. This is great V. I like the contrast of the brick detail with the wild splashing! What does Otto think?